Upload a picture of "Yardie"
Add a YouTube Video for "Yardie"
Slang term used to refer a Jamaican or Jamaican descents that live aboard, typically in the United Kingdom. Additionally the term “yardie” may refer to a gang consisting predominantly of Jamaicans criminals who are involved in activities such as dealing drugs and acquiring illicit money. 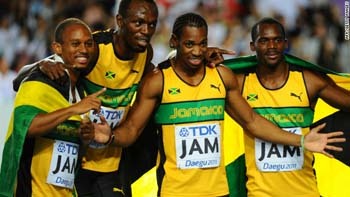 English: The club was full of Jamaicans last night.